Hi ArielLeslie, thanks for your reply! I have had my preferences set how you showed in your screen capture. However the email notifications have not stopped. I wonder if it’s some sort of back-end issue? 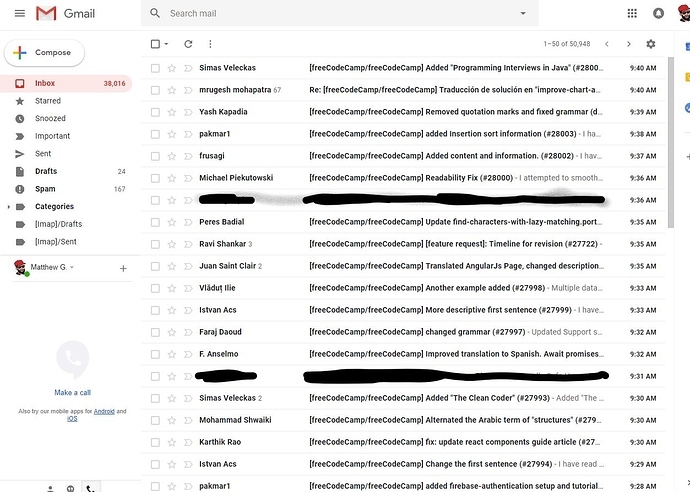 This is how my inbox looks now. It’s literally all forum posts for some reason. Ooooooh. Those aren’t forum posts. They’re from GitHub. 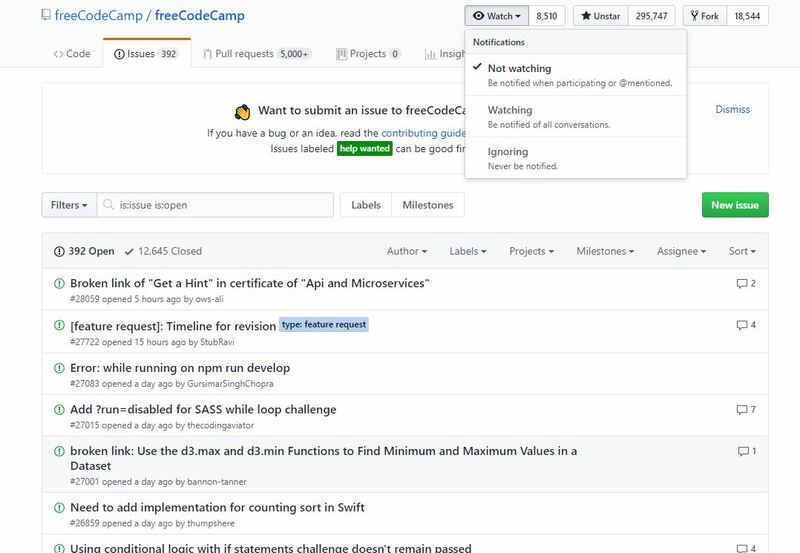 Those are notifications about Issues or PRs that you’ve created or commented on (unless GitHub has a “firehose” setting that got ticked in your account). Yeah it was definitely on git hub. I had it set to watching, which will notify you of EVERYTHING. I changed it to not watching which only notifies you when you’re participating or mentioned. You can also change it to Ignore and will never notify you. FYI Thank you so much!! 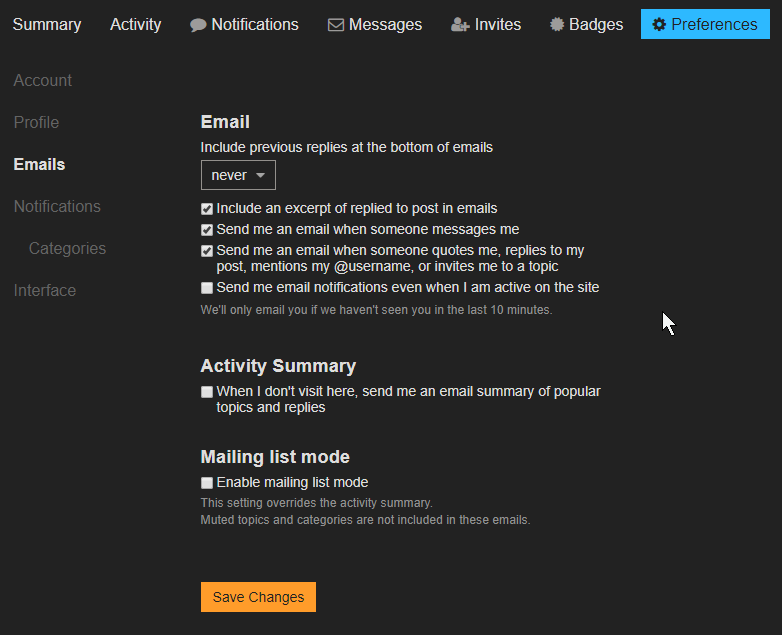 Glad to help and super glad that you have control of your inbox again!